ACT for Multiple Sclerosis offers exercise, education and mobility assistance programs for individuals living with MS. 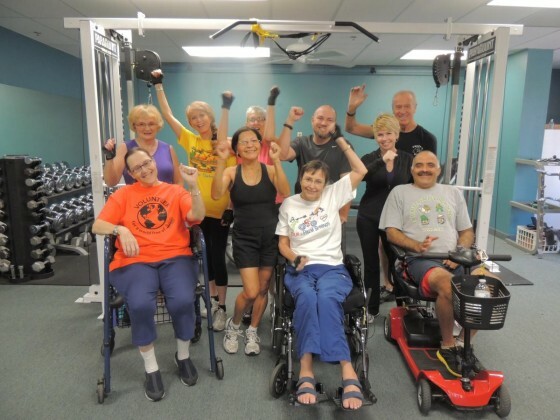 Since 2000, ACT for Multiple Sclerosis has been offering exercise, education and mobility assistance programs for individuals living with MS in the Coachella Valley. Multiple sclerosis is thought to be an autoimmune disease that attacks the nervous system and frequently leads to a loss of cognition and motor skills. Most people with MS do not become severely disabled, but the disease is chronic and those with it have to manage symptoms for the rest of their lives. While other organizations are working toward finding a cure, ACT for MS works to fill the gap and provides services to improve the quality of life for people managing the disease. Programs that the organization offers include circulation and strength training exercise, yoga, aquatic therapy, wellness education and peer support activities. All of the programs are free. ACT for MS also helps people in financial need afford mobility equipment and pay for utilities during the summer when running the air conditioner can be a burdensome expense. In order to offer a range of support for clients, ACT for MS partners with over 30 health care professionals from around the Coachella Valley and Southern California, including physiologists and trainers, nutritionists, neurologists, physical therapists, physicians, registered nurses and other health care specialists. A four-year study that ACT for MS commissioned demonstrated that clients who participated consistently in certain fitness programs were able to improve their strength and flexibility while reducing their pain and spastic reactions. “ACT for MS never expected that what was started 16 years ago would have this sort of impact on the MS community,” Serfling said. MS is an expensive disease to treat. Serfling said MS ranks second only to congestive heart disease in terms of costliness compared with other chronic conditions. This expense means that the number of clients ACT for MS can serve is dependent on the amount of money the organization has available. ACT for MS relies on fundraising and grant revenue to help off-set the cost of programs and services. Recently the organization was supported by a grant from the James Bernard and Mildred Jordan Tucker Fund at The Community Foundation. However, there is always a need for more funding. ACT for MS wants to be in a position to serve more clients by the end of 2017 and Serfling said this will take the community’s support. One way it can do that is by attending fundraisers. The organization will present its main fundraiser, a gala called “Sunday Night Fever,” the evening of March 6 at the Renaissance Hotel in Indian Wells. The event features a dinner, live auction and entertainment by The Latin Crooners. Proceeds will support programming.